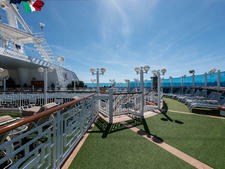 When it comes to cruising, you like spacious suites, attentive service and fine dining. You appreciate thoughtful touches and not being nickel-and-dimed for everything. You like to travel in style, and you're willing to pay more for the best vacation experience. You might want to book a cruise on a mainstream line. Yes, you read that correctly. While luxury cruise lines like Seabourn, Silversea, Crystal and Regent Seven Seas Cruises are still an excellent choice for high-end vacations at sea, mainstream lines -- Norwegian, Celebrity, Royal Caribbean and MSC -- are attracting plenty of upscale travelers with jaw-dropping suites, extra perks and exclusive bars, restaurants and sun decks. Many travelers who sail on luxury lines also book trips on the mainstream ones, and for some, the top suites on mega-ships might be the only way they cruise. Intrigued? Appalled? 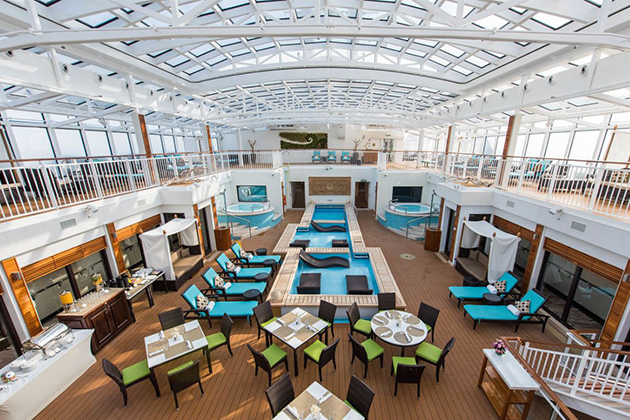 Here are the top reasons why a high-level suite on a mainstream ship might fit your needs. 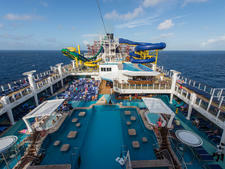 The biggest attraction of mega-ships is that they can truly offer something for everyone. They have a range of cabins from those gorgeous suites down to windowless cabins, huge spa and fitness centers, varied bars and entertainment offerings (including Broadway shows on some ships), multiple dining options, recreational activities from pools to water slides to ropes courses and rock-climbing walls, and expansive kids' facilities and programming. Luxury cruise ships tend to be smaller, with fewer entertainment and activity options. If you're a high-end traveler and you're vacationing with your kids or grandkids, you might prefer a larger ship where the teens and tykes have much to do. Or, if you're traveling with friends or family who have a more limited budget, you can book a top suite while they choose a more affordable balcony or even inside cabin, and you can still meet up for dinner and onboard fun. Or, perhaps you're traveling just as a couple but you prefer a ship with a rocking nightlife or state-of-the-art fitness facilities. On a mainstream ship, you can get all of that plus luxury accommodations. Classic luxury cruise lines like Crystal and Silversea attract a predominantly older crowd. While some younger luxury travelers enjoy meeting adventurous and likeminded people of all ages onboard, others would prefer an onboard experience more tailored to their age group, where they won't feel like the youngest onboard. Mainstream cruise lines attract a more varied demographic, so it's easy to find people in the same stage of life as you, if that's how you like to make friends. Let's face it -- the majority of luxury cruise ships shut down late at night. Maybe it's because port-intensive itineraries tire travelers out, older couples are less interested in grooving to a DJ at 1 a.m. or the spacious suites onboard are more attractive for a night of movie watching. You might find a few diehards lingering at the bar, but options are limited. 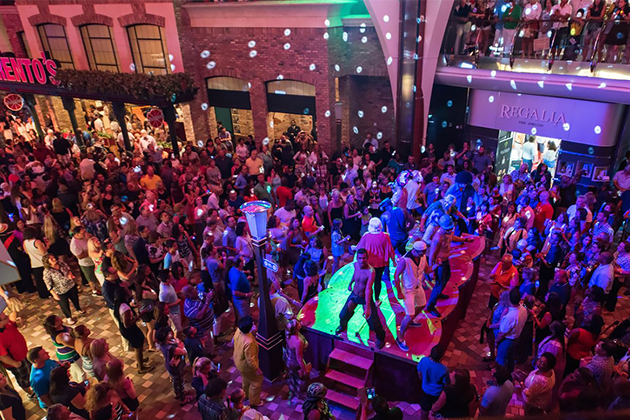 On a mega-ship, you'll find your choice of bars, discos and evening theme parties, as well as entertainment ranging from aerial shows and acrobatic-and-diving performances to Broadway musicals. Late-night comedy, live music and lots of karaoke are often on the schedule. If you love the nightlife, mainstream ships are where it's at. It used to be that luxury cruise lines owned the all-inclusive cruise market. Regent Seven Seas leads the pack with fares including flights, pre-cruise hotel, all drinks, gratuities, meals and shore excursions. 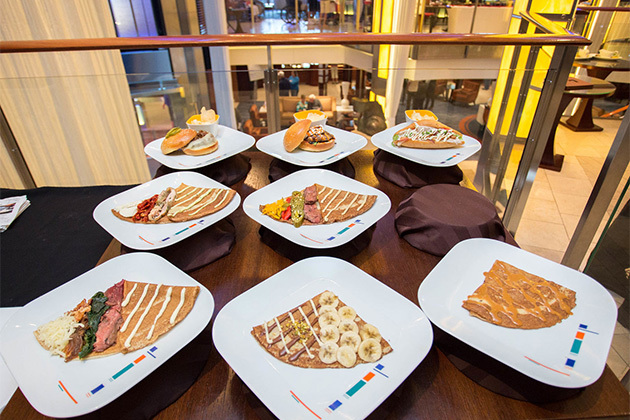 But mainstream cruise lines are catching on that their high-end passengers don't want to be nickel-and-dimed, and are making their top suite prices more inclusive. 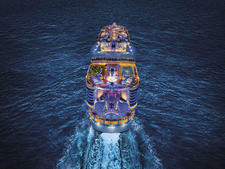 For example, Royal Caribbean offers three tiers of Suite-class amenities to passengers in its fanciest suites. At the very top, suite fares include a Royal Genie butler, an exclusive dining venue (Coastal Kitchen) plus free dining at its normally extra-charge alternative restaurants, a beverage package, high-speed internet, gratuities and L'Occitane toiletries. With so many inclusions, fares become more comparable to small-ship offerings. On small ships, attentive staff make sure everyone feels like a VIP, and there's not a lot of distinction made between passengers in the smallest and largest suites. On a mainstream ship, travelers who book the top suites get priority access and exclusive amenities. If you like to feel special, and know that you're getting what others don't, a mainstream ship could be right for you. Classic luxury cruise ships have some lovely and enormous suites. Mainstream ships do, too. In fact, given the size of the newest mega-ships, mainstream cruise lines can create amazing suites that blow the ones on luxury ships out of the water. Celebrity's Reflection Suite is a two-bedroom suite with an enormous living area (including a dining table for 10 and a wet bar with seating), light-filled master bath with a Jacuzzi tub and a glass-enclosed shower cantilevered over the ocean, and huge balcony with a hot tub, loungers and dining table. Royal Caribbean has multilevel Loft Suites with two-deck-high, floor-to-ceiling windows for incredible ocean views, and Presidential Family Suites that sleep 14 with four bedrooms, massive living room and a balcony with a hot tub, wet bar and alfresco dining for 14. One of the hallmarks of luxury cruise lines is their exotic itineraries. Europe, Asia, Africa, the Arctic -- luxury ships take adventurous travelers to all their bucket list destinations. The flip side is itineraries tend to be lengthy and necessitate long-haul flights. Mainstream cruise ships also sail the world, but they remain devoted to U.S. homeport cruising. 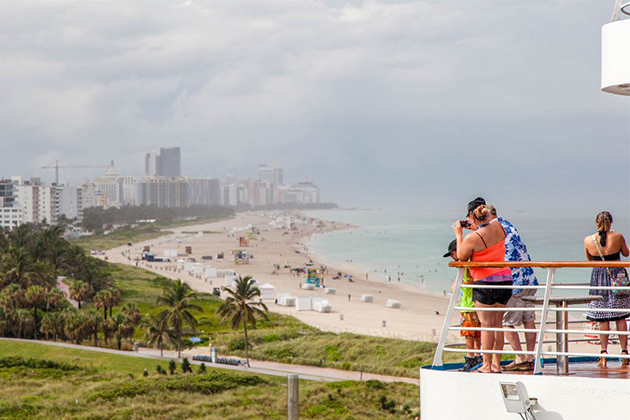 If you'd prefer not to schlep to your cruise port, you'll find plenty of options out of Florida, New York/New Jersey, Seattle and Los Angeles year-round. Ultimately, it's all about choice. If you'd like to sail Seabourn, you have the choice of four ships. 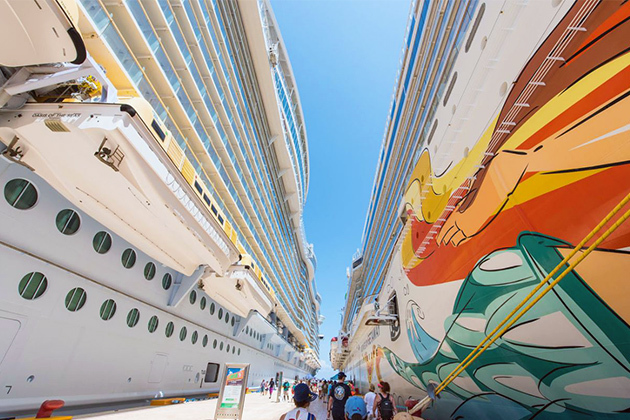 If you'd like to sail Royal Caribbean, you can select from 20-plus ships. On any date, a mainstream line will be sailing to a variety of destinations and offering a range of cruise lengths, some as short as three days and some spanning weeks. The fleets offer ships with different personalities, sizes and strengths, and multiple suite options for those looking for a high-end experience onboard. 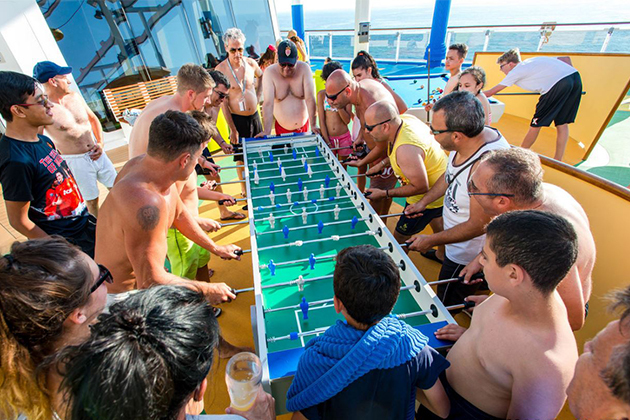 And as we said earlier, once you're onboard, you have a wealth of options when it comes to activities and dining. 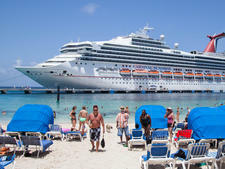 A mainstream cruise might not be the perfect choice for all luxury travelers or every vacation. But if you like having options when cruise planning, consider the mega-ships when you start dreaming of your next cruise. Everyone else is.